Four centuries ago, alchemists were obsessed with the transmutation of base metals into gold. Unfortunately, their attempts at this impossible task were futile and their failures eventually led to the downfall of alchemy. Yet, their legacy lives on. Alchemy is based on experimentalism — getting your hands dirty and actually making something. Perhaps you may have found yourself getting frustrated or bored with carrying out countless titrations during Chemistry lessons. In that case, why not join us for an Alchemy session? 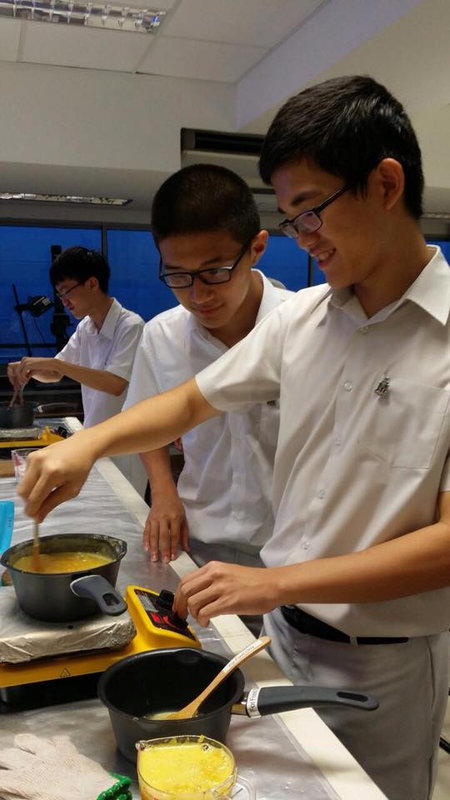 At Club Alchemy, we believe that chemistry practical sessions should be fun, fulfilling and provide great learning opportunities. Thus, we place a great emphasis on new, exciting and interactive practical sessions. You will have the opportunity to conduct experiments you don’t normally see in the H2 syllabus, and have a feel of how enjoyable Chemistry practical sessions can be! What exactly do we do for our practical sessions? No, we don’t try to turn lead into gold; neither do we use fancy chemicals to create explosions. Generally, all our experiments are down-to-earth and centered around phenomena observable in our daily lives. By making our practical sessions easily relatable, our members can gain a greater appreciation of the chemistry that exists all around us. Making alum crystals from Coke cans, making different types of fruit jams (that we actually got to eat!) 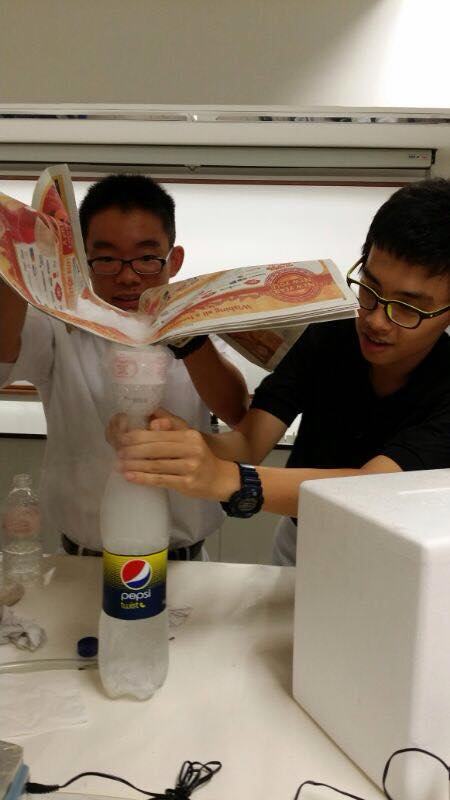 and investigating the carbonation of soft drinks are just some of the many practical sessions that we had in 2014. 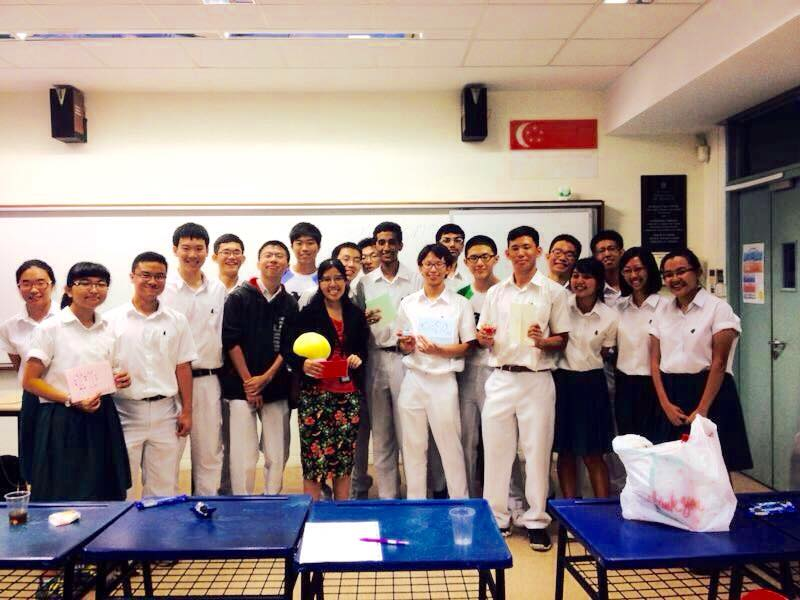 Moreover, our members are exposed to chemistry concepts both inside and outside the H2 syllabus. One of the experiments we did actually came out in a J1 Promos question! How’s that for having fun and learning at the same time? Making orange marmalade – Chemistry is so delicious! Besides having practical sessions, our club also holds theory sessions, during which we explore slightly beyond the H2 syllabus. Sharing sessions by our members constitute a key component of our theory sessions — we actively encourage members to conduct presentations on chemistry-related areas that interest them. These can range from being extremely serious (Quantum Chemistry, Oscillating Reactions) to being more light-hearted (‘Why movies get all the Chemistry wrong’). 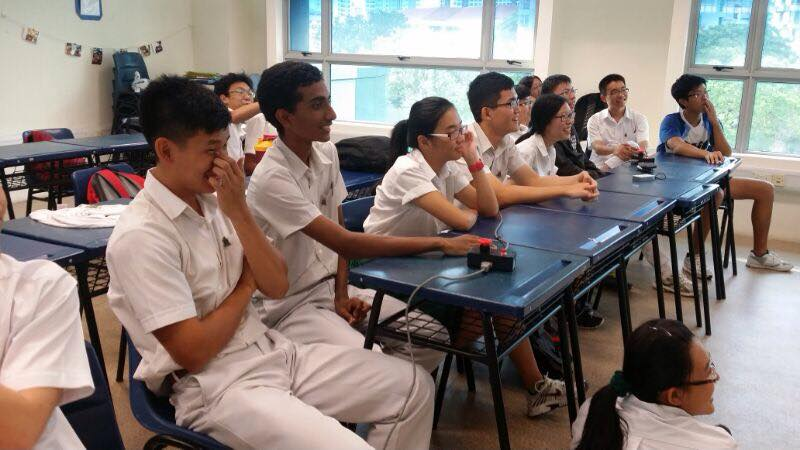 Other than theory and practicals, there are also fun sessions where the club gets together to play some games, such as trivia competitions and chemistry-related scavenger hunts. There are also a variety of other activities lined up for our members throughout the year, such as managing the science Inter-House Competition booths and organizing Eureka!, a biannual science quiz. In 2014, our members also had the opportunity to conduct sessions for international students at the RI-Maurick Water Conference. As a club, we are a closely knit bunch of people who are passionate and inquisitive about Chemistry, looking to have fun doing what we love. We welcome everyone and there are no prerequisites to join Club Alchemy. So, if you are someone who is interested in learning more about chemistry and carrying out some lab work, do consider joining Club Alchemy. Our sessions are conducted every Monday from 4.30 p.m. to 6.30 p.m. and we have a whole list of exciting activities planned out for you, so we hope to see you soon!